PRAYER GROUP The prayer meetings will continue on Wednesday mornings at 10.00am in the small hall. John Fraser will lead them and if you would like them to pray for someone at those meetings please contact John on 861140. The Prayer Group are happy to pray for any requests which any of the congregation have. Feel free to put any in the box in the vestibule. LADIES BIBLE STUDY Ladies Bible Study: The next meeting will take place on Wednesday 23rd November at 1.30pm and last approximately one hour. The ladies will look at Hebrews chapter 5 under the heading “Overcoming Weakness”. Do come along to join this group and learn from God’s word. We’d love to have you with us. PASTORAL CARE Please get in touch with the Team if you need some help. Contact can be made either through your elder or the co-ordinator, Janette Steele (01349 861591) and we will do our very best to assist. SOUP LUNCH The next Soup Lunch takes place in the Church hall on Friday 2nd December starting at 12noon. Following some delicious home-made soup, a cuppa and a chat, Elizabeth Blackburn has kindly agreed to show us her slides on “Arctic Ross-shire”. We look forward to welcoming you at what should be an enjoyable event. GUILD WEEK The final event of Guild Week takes place tonight at 6.30pm in St Clements Church. 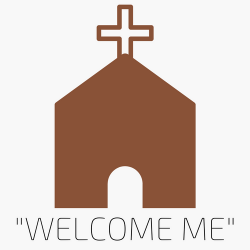 All will be made most welcome. GUILD There is a sheet at the back of the Church today and you are asked to add your name if you intend going to the Christmas Lunch in the Conon Hotel on Monday 5th December. No monies are required for now, just names. KIRK SESSION The Kirk Session will meet at 7.00pm on Thursday 8th December. Minutes and agendas will be issued shortly. PASTORAL DUTIES Interim Moderator Rev’d Scott Polworth is available for pastoral cover and can be contacted on 01463 870259. REMEMBRANCE SUNDAY RETIRING COLLECTION The sum of £101 was collected for the Earl Haig fund at last Sunday’s services. World Mission Council Newsletter Copies of the latest issue on the theme “Living in a Global Community” are available on the table at the back of the Church. Apologies that they were not distributed with “Life and Work” this time. Please help yourself to a copy, which includes articles on Nepal, Malawi, Egypt and Indonesia. KILDARY KROAKERS All singers are warmly invited to join the Kildary Kroakers for a fun ‘from scratch’ performance of Roger Jones’s popular musical While Shepherds Watched. The rehearsal will run from 2.30-4.30pm on Saturday 10th December in Logie Church. There will be no auditions and both words and music copies will be available to borrow for the day. After a break, the performance will start at 6pm and will be followed by light refreshments, so even if you don’t sing, you can come and enjoy the music and fellowship. There will be a retiring collection, to be shared by Christian Music Ministries and Kilmuir & Logie Easter Church of Scotland. We would be pleased to see anybody who would be interested in joining us for this performance. Iona – changing lives to transform the world Peter Macdonald, leader of the Iona Community’ will be leading a workshop in Hilton Parish Church, Inverness on Saturday 26th November from 11am to 3pm to consider future plans for the Community and its base on Iona. Anyone interested in the work of the Community is welcome. Full details are available the table at the back of the Church.